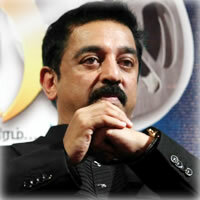 Kamal Haasan and Suriya will share the Film Fans Association’s Best Actor award for the year 2008. While Kamal will get the award for Dasavatharam, Suriya has been adjudged as the best actor for Vaaranam Aayiram. Simran, Sneha and Trisha are the best actresses for the year 2008. The newbies in Subramaniapuram – Sasi Kumar and Swathi – have bagged the best new face of the year award. The producer and director of Dasavatharam, Oscar Ravichandran and KS Ravikumar have bagged the best producer and director awards respectively. Siva Kumar and Lakshmi will be honored with the lifetime achievement award. Aishwarya and Prakash Raj will be adjudged the best character artistes. The 58th Film Fans Association awards will be handed over to the winners on November 8th at the Kamarajar Arangam.